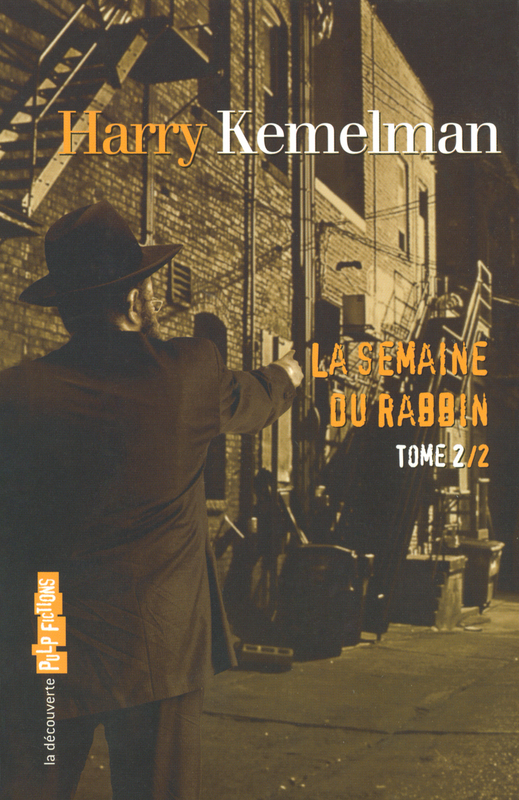 On soupçonne le rabbin (Friday, the rabbi slept late, 1964) Traduit par Raymond Albeck. Samedi, le rabbin se met à table (Saturday, the rabbi went hungry, 1964) Traduit par Nelly Skhlar. Dimanche, le rabbin est resté à la maison (Sunday, the rabbi stayed home, 1969). Traduit par Lazare Rabineau. Lundi, le rabbin s’est envolé pour Israël (Monday, the rabbi took off, 1972). Traduit par Lazare Rabineau. Mardi, le rabbin a vu rouge (Tuesday, the rabbi saw red, 1973) . Mercedi, le rabbin a plongé (Wednesday, the rabbi got wet, 1976). Jeudi, le rabbin est sorti (Thursday, the rabbi walked out, 1978). Traduits par Lazare Rabineau.